Located in the heart of the Rocky Mountains – we are a team that loves to play hard and work harder. 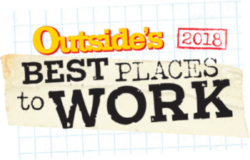 As an Outside Magazine Best Place to Work 7 years running, we believe success is powered by our team’s happiness. We’re just a talented bunch of innovative developers, creative artists, social experts, email ninjas, search enthusiasts, anglers, alpine skiers, trail runners, environmentalists, who genuinely care about our client’s success. Our vision is to be the premier digital agency in the hospitality industry by driving quality conversions and creating digital experiences that inspire and motivate travelers to place. Our mission is to create value and deliver measurable results to our clients through innovation and quality in the digital space. We focus on sustainable growth driven by the success of our clients, the strength of our team and a culture that encourages excellence in both our professional and personal lives. The Software Implementation Specialist is responsible for helping prepare and support clients and the product team in the delivery of software products at Bluetent. The Implementation Specialist will be working with clients from post-sale until their product onboarding is complete. Tasks include working with the client to gain access to their data feed, testing data, and consulting with clients on how to best utilize the platforms. This is an in-office position at Bluetent’s CO headquarters, not a remote position. Shepherd project needs from end of sales process to delivery. Coordinate and test access to any applicable data source or API. Record product defects and deliver them to the product management team. Assist the sales and marketing teams by participating in sales calls, demos and by creating documentation. Experience or interest in the travel, tourism and hospitality industry is a plus. Experience with NetSuite a plus. Experience with Google Apps a plus. Experience with Basecamp a plus. Please submit a cover letter and resume with the application. Applications received without a resume and cover letter will not be considered. As part of the hiring process at Bluetent, we ask that job candidates complete The Predictive Index® Behavioral Assessment. Please set aside 5-10 minutes for completion, although you have unlimited time to complete the assessment once it is started. The Predictive Index Behavioral Assessment does not measure intelligence, education or experience. It simply measures work and communication needs. Please use the link provided to take the assessment.